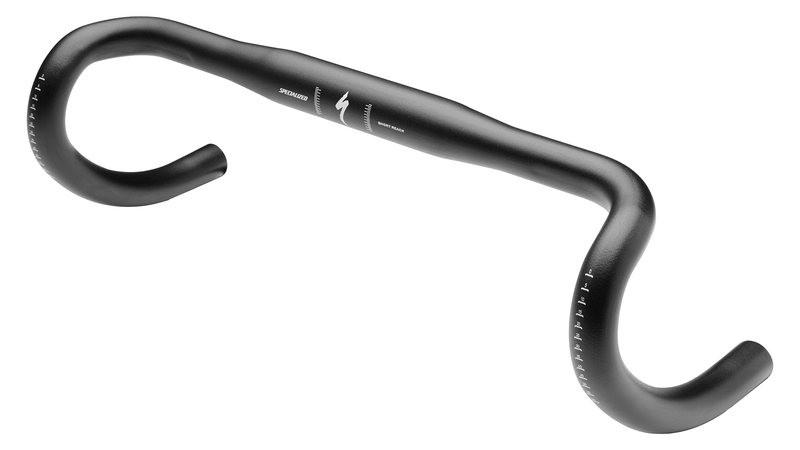 The Specialized Comp Short Handlebar is a premium aluminum bar ideal for riders who seek a slightly shorter reach on their bike. They feature a 65mm reach which is about 10mm or 15mm shorter than most bars and a shallow 125mm drop. The bars feature an ergonomic top perch with smooth transitions to alleviate pressure on your hands and improve comfort and the 6062-butted aluminum construction is light, strong, and durable. The Shallow bars are compatible with Shimano, SRAM, and Campy controls.